MBIQ (Meteor Bot Internet Query) Bot has just detect a meteor event over the UK 29SEP2012. 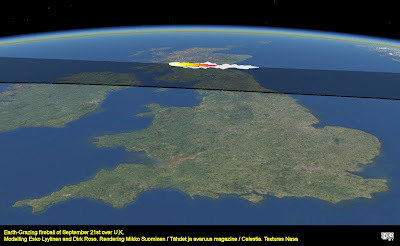 United Kingdom arrived from google.co.uk on "Latest Worldwide Meteor/Meteorite News: September 2012" by searching for meteor 29 september 2012. Coventry arrived from google.co.uk on "Latest Worldwide Meteor/Meteorite News" by searching for meteor seen in the oxford skys 29th september 2012. Bristol arrived from google.com on "Latest Worldwide Meteor/Meteorite News" by searching for shooting star tonight 29 september. Sightings of what is believed to be a meteor shower shooting across the night sky and breaking up into pieces, were reported on Friday evening in parts of Northern Ireland, central Scotland as well as the north of England, the Midlands and East Anglia. Implications for the hydrogen detected on Vesta with Dawn data. A spectacular meteor wowed stargazers across the United Kingdom Friday when it flared up and shattered into pieces in a surprise display of celestial fireworks. Filmed over Manchester airport, by lee ogden 21/09/2012. Did an Ancient Meteor Have an Icy Double Punch? A new study suggests that a large meteor impact 2.5 million years ago could have caused massive tsunamis and kick started the world's Ice Ages. 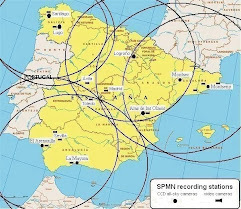 - MBIQ (Meteor Bot Internet Query) Bot Has Detected Sbarg Meteor Simulation Underway Real World or False Flag? UPDATE! Location has moved, SBARG and the ARG in Wundergrund !!! Buenos Aires, Distrito Federal arrived from so-i-got-a-new-url.tumblr.com on "Latest Worldwide Meteor/Meteorite News". Argentina arrived from buttbuttbuttbuttbutt.tumblr.com on "Latest Worldwide Meteor/Meteorite News". Caught this on CCTV. Meteorite breaking up over the skies of Staffordshire. MBIQ (Meteor Bot Internet Query) Bot has detected a possible meteor event over Japan 25SEP2012 anyone that witnessed this event please file a meteor sighting report on this site; thank you! Ibaraki, Osaka arrived from google.co.jp on "Latest Worldwide Meteor/Meteorite News" by searching for green light in sky on september 25 2012. Near Earth Objects, asteroids (2012 SY49) , (2012 SJ32) , 2012 SL50 are due to pull by Earth on 27/28SEP2012 and we can expect a continued increase in meteor activity here on Earth 2-3 days before/after their passing as there will be accompanying debris. Get outside and watch, have your cameras ready and make a capture or witness a meteor. UPDATED 25SEP2012 - Another NEO just found! Astronomy | Aten asteroids | There's been a bit more news on that amazingly bright and weirdfireball seen moving across the skies of northern UK last week. Researchers based at Princeton University, the University of Arizona and the Centro de Astrobiologia in Spain used a low-velocity process called weak transfer to provide the strongest support yet for "lithopanspermia," the idea that the microorganisms that sprout life came to Earth - or spread from Earth to other developing planets - via collisions withmeteorite-like planetary fragments. Brightness estimates of this fireball vary considerably, but the average lies near magnitude -11, which is slightly inferior to the light produced by the full moon. Video by Gina in Dublin, Ireland sent to LWWM/MN by email Video taken with cellphone. Video was taken at around 10:30pm 21st of sept in Falkirk. At first me and a friend saw a green glow in the sky and stopped to have a look and noticed it was moving and I decided to record what I could. Recorded on an iPhone, hence the lame vertical video. Saw this while walking home. Spectacular! 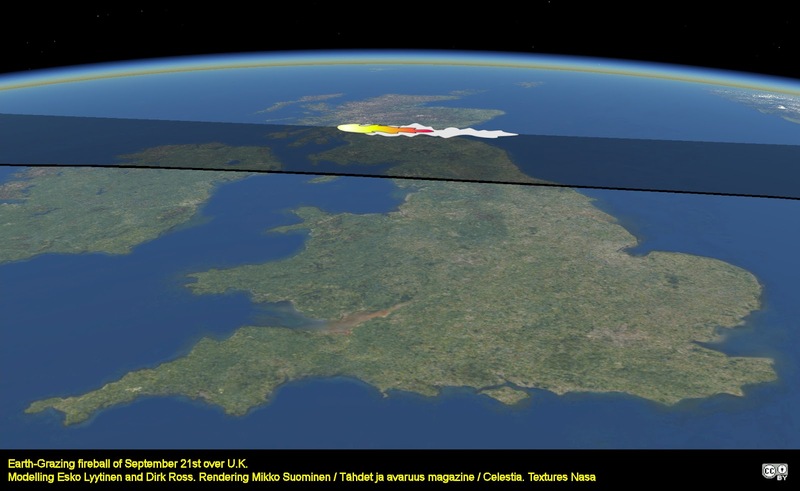 http://sheilaaliens.net/?p=1184 "People across the UK have reported seeing a large meteor shooting across the night sky. A great fireball was seen by people all over the UK and Ireland tonight, here is some footage taken by my meteor camera based in Bangor, Northern Ireland. The camera is pointing almost straight up but slightly dipped towards the Belfast direction in the West. There are 5 main chunks of debris, each one was over mag -5 as it entered the frame. over Forfar, Scotland in the Uk On 21st September 2012. Meteor over Manchester 21 September 2012 ufo?? Only joking! As we walked out of the Manchester Evening News Arena (MEN) After watching George Michael, this meteor flew overhead. We did see this for longer but only managed to record a few seconds of it! When it was closer it looked amazing! Time was 10:55pm Just to add a little more information, this looked as if it was heading towards Wigan, West, or slightly north west. It may help if people are trying to track where it was heading. The video shows me standing on Cheetham Hill Road, looking towards the junction of New Bridge street. My husband and I were camping at the lakes and saw an enormous white ball heading towards us just above the horizon. We couldn't work out what it was until we saw it had tail and sparks coming from the back of it. It was completely silent. Grabbed my phone and recorded it as best I could, but didn't quite catch it before it started to break up. About 5 minutes later we heard the sonic boom. Totally impressive and so glad to have witnessed it. Meteor Fragments in bound, and another one bites the Dust. Captured this at 10:55pm on my iPhone 4S. Just randomly spotted it out of our side window. Pretty sure it's a meteor burning up in the atmosphere. The video doesn't do it justice, but still cool to see first hand. This was taking tonight, not sure if its a meteor or something else. Video 28 - Antrim, Northern Ireland. Noticed this as i was in my yard - Antrim, Northern Ireland. Managed to capture a few seconds of it. 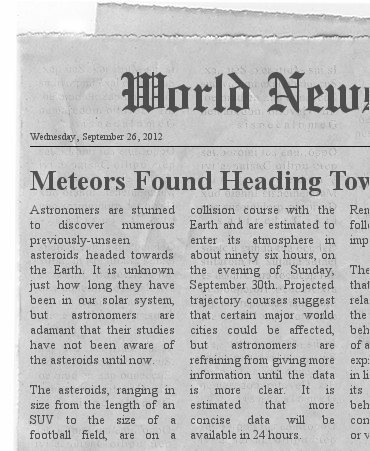 Meteor Shower? On my way home heading in to town,see this big Yellow thing in the sky, pull up and as I got out it went to Pieces, this is what I see, not far from me at all just passing by"
If you've ever yearned to own something from out of this world, here's your chance. On Oct. 14 in Manhattan, fragments of Mars, the moon and asteroids that have fallen to Earth go up for sale, in what auction house Heritage Auctions is billing as the largest public meteorite auction ever held. On Oct. 14 in Manhattan, fragments of Mars, the moon and asteroids that have fallen to Earth go up for sale, in what auction house Heritage Auctions is billing as the largest public meteorite auction ever held. C Has 1 day ago in playlist Meteor spotted over Britain and Ireland. POLICE were inundated with calls after what is believed to be a meteor streaked across the North's skies last night. "Fireball" Over UK September 21 2012. MissTaken84. 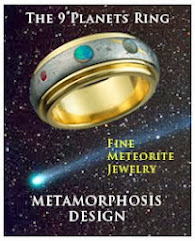 Meteorite Times is changing from a monthly magazine to a bi-monthly magazine as of this month. The next issue will be the November issue. The following URL gives access to the Web Browser View, Flash Magazine View, Mobile PDF, and Print on Demand version. The Print on Demand version will be delayed until an issue with HP MagCloud is corrected. This page has an easy way to view all of the "Mag View"
issues in the "Archives" section of the page. Thousands of people in the north west reported seeing balls of fire in the sky late on Friday and even though astronomers had not been expecting a meteor shower. The Met Office said it was believed to be a meteorite breaking up in the atmosphere. A suspected meteorite shower over the U.K. prompted a flurry of emergency calls. 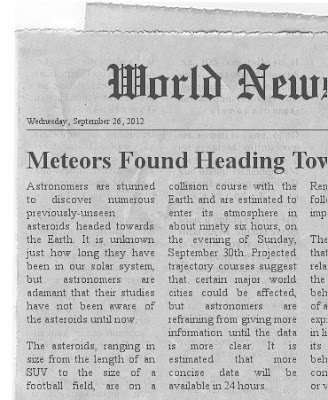 Meteor shower sparks 999 alert. By Anthony Joseph. Published: 24/09/2012. The meteor shower over Aberdeen. Picture by reader Samantha Low. More Pictures. The meteor shower over Aberdeen. Readers contacted the EDP from Norwich, Fakenham, Weasenham, Surlingham, Dereham, Blakeney, Saxlingham Thorpe, Attleborough, King's Lynn and Holt describing a green-coloured light in the sky, with two smaller fragments behind it, around 11pm. We've had people report possible plane crashes, and others the weirdest fireworks they've ever seen. "Folk just haven't known how to describe what they've seen. It's quite extraordinary." The huge fireball which lit up skies across Ireland and the UK may have been a space rock or a manmade piece of material, astronomers have said. A few people have reported of hearing some sort of loud voices when the meteor like things passed over them. 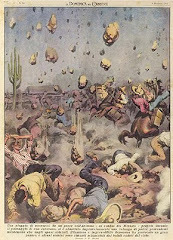 One of the spectators of the scene said that a large mass of orange colored was seen in the sky that multiplied into many small sparkling dots. Meteor shower sparks UFO reports – did you see it? Durham Police was inundated with reports of bright lights in the night sky between 11pm and 11.30pm. Concerned residents across the county rang in. However, the lights were in fact a meteor shower, which could be seen across the whole of the North East. *** Disclaimer- The videos and photos of the UK meteor event may contain faked images. I have not had time to verify all.